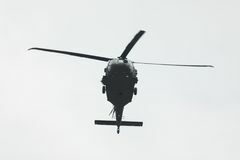 UH 60 Black Hawk Helicopter. 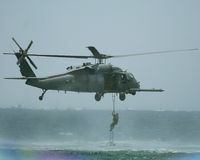 The UH 60 Black Hawk United States Army helicopter simulating a beach invasion. 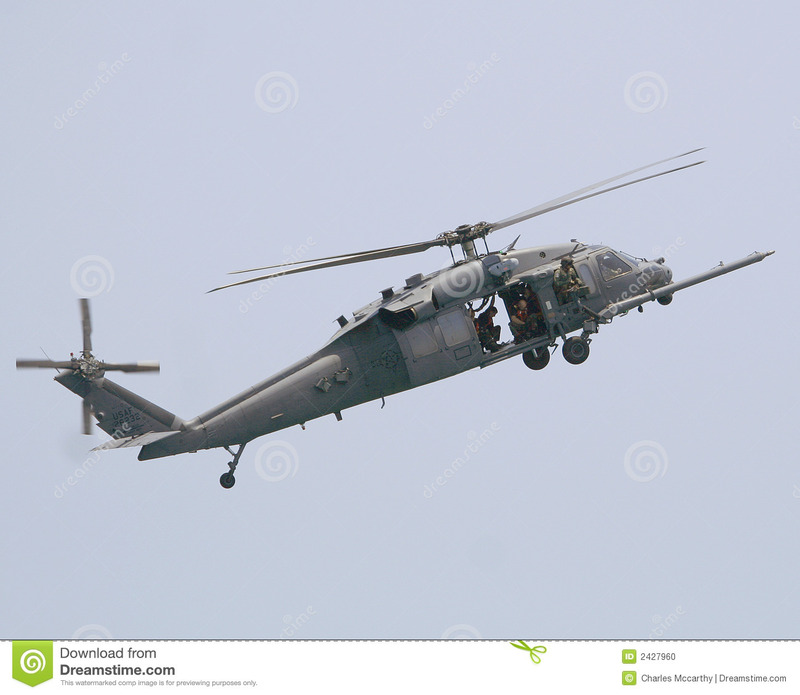 The Sikorsky UH-60 Black Hawk is a medium-lift utility or assault helicopter derived from the twin-turboshaft engine, single rotor Sikorsky S-70. 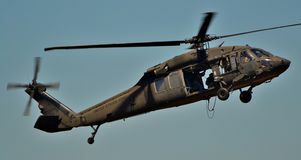 The S-70 was the winner of a United States Army Utility Tactical Transport Aircraft System (UTTAS) competition in the early 1970s to replace the UH-1 Huey family. 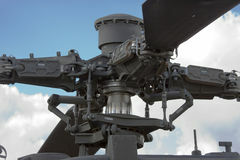 Though the two final competing designs were both developed to Army specifications, the UH-60 was selected over the Boeing-Vertol YUH-61 entry from Boeing-Vertol. 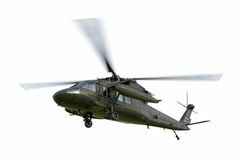 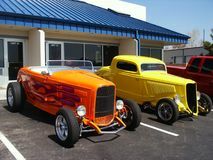 It would go on to serve as the basis for variants in service with other branches of the US military. 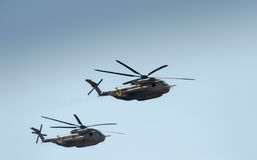 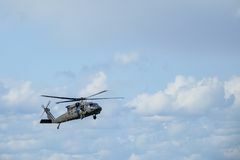 The Black Hawk series of aircraft can perform a wide array of missions, including the tactical transport of troops, electronic warfare, and aeromedical evacuation: several VH-60N Black Hawks are even used to transport the President of the United States as Marine One, known as the VH-60 Whitehawk. 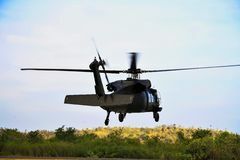 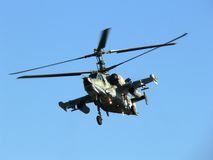 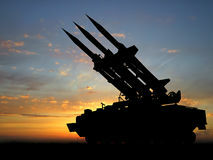 In air assault operations it can move a squad of 11 combat troops with equipment or reposition the 105 mm M102 howitzer with thirty rounds of 105 mm ammunition, and a four-man crew in a single lift. 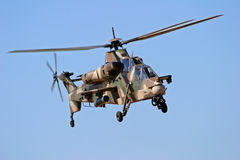 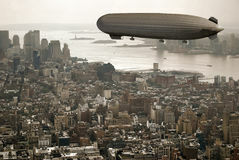 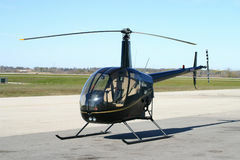 Alternatively, it can carry 2, 600 lb (1, 170 kg) of cargo or sling load 9, 000 lb (4, 050 kg) of cargo. 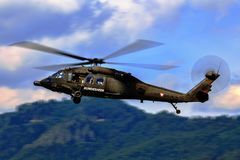 The Black Hawk is equipped with advanced avionics and electronics for increased survivability and capability, such as the Global Positioning System.